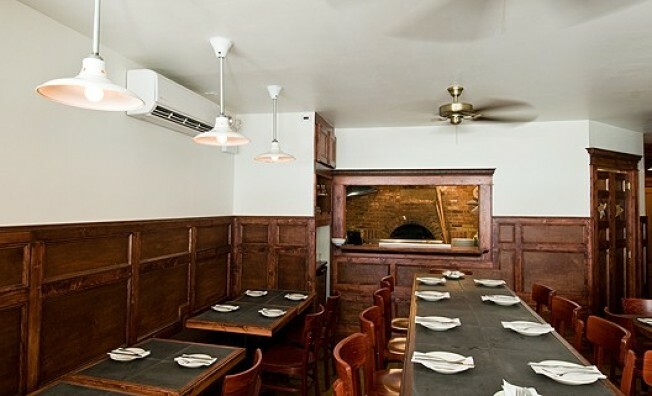 Williamsburg: Coming off a weekend of friends and family previews, Momofuku and Rusty Knot alum Joaquin Baca's solo venture The Brooklyn Star is pretty much finished up and ready to go at 33 Havemeyer, right between the Bedford and Lorimer L stops in Williamsburg. Sadly, and isn't this always the case, the city isn't quite ready to give them the final go ahead to open on Thursday as planned (some insiders tell us it's probably due to that glorious brick oven, a pain to get permits for). So while we wait for final word on the opening, let's take a look around at the small space, formerly the beloved Brick Oven Gallery, and Baca's comfort food menu, below.